Backlit Formulate® Master 3D Cube hanging structures are made in the USA and combine state-of-the-art zipper pillowcase dye-sublimated stretch fabric coverings with superior quality, lightweight aluminum tube frames to provide unique design, functionality, and style. 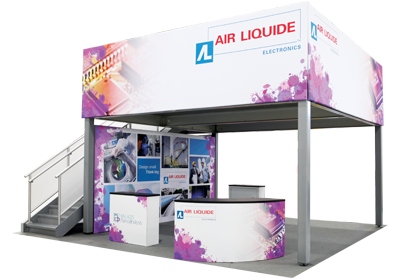 Backlit graphics make a booth with this hanging structure stand out on any exhibition floor. Hanging cables are included. Stretch fabric graphics are hand-sewn and durable. Various size options are available. 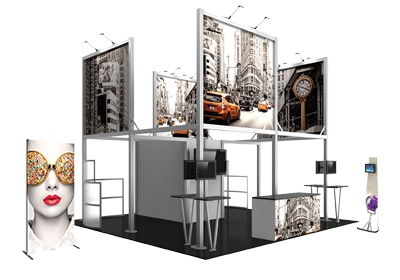 Backlit Formulate Master 3D Cube hanging structures are available with 3', 4', 6', 8' or 10' sides. - Shipping weight and dimensions vary by size. Please see instruction sheets for details.